Ebenezer Ormsbee married Phoebe Houghton, daughter of James Houghton and Phoebe Holt, in Jan 8, 1789 at Thompson, CT, USA. Ebenezer Ormsbee married Experience Houghton, daughter of James Houghton and Phoebe Holt, JWH, MLM: w/2; 1st wife was her sister Phoebe;Union CT: dates for widow Experience do not agree with this Experience's birth date. Betsy Holbrook married Sylvanus Houghton, son of James Houghton and Phoebe Holt, in Jan 15, 1795 at Thompson, CT, USA. Benjamin Learned Jr. married Orinda Houghton, daughter of James Houghton and Phoebe Holt, in Nov 25, 1790 at Dublin, NH, USA. William Jordon married Samantha Houghton, daughter of James Houghton and Phoebe Holt, w/1. William Jordon married Asenath Houghton, daughter of James Houghton and Phoebe Holt, w/2. John Mason married Bethia Houghton, daughter of James Houghton and Phoebe Holt, in Jan 16, 1788 at Dublin, NH, USA, Mason: 16 Jan 1789; Leonard: June 1, 1789. Moses Colburn married Mary Houghton, daughter of James Houghton and Phoebe Holt. Abner Houghton married Susannah Taylor in 1805 at Winchester, Cheshire Co., NH, USA. Elijah Houghton and Ama Brown declared their intentions of marriage on Dec, 1811. Elijah Houghton and Ama Brown declared their intentions of marriage on Dec 11, 1812 Dudley, Worcester Co., MA, USA. Elijah Houghton married Ama Brown in Dec 13, 1812 at Charlton, Suffolk Co., MA, USA. Birth Oct 17, 1793 VT, USA, VT in 1850 census; age 76, MA, in 1870 census; Not in Groton VR; Hayward Houghton: Calculating back from the date of death would set the birth date as Oct. 27, 1794. Death Sep 7, 1872 Littleton, Middlesex Co., MA, USA, at home of her son Charles; Hayward Houghton: Her gravestone at Groton says that she died Sept. 7, 1872, aged 72 years. The date of death appears as above in the Littletwon Vital Records and in a diary for 1872 kept by her daughter-in-law Abby Frances (Hayward) Houghton. Thee age given on the gravestone would make it appear that she was born in 1800. The Littleton Town Report for 1872, however, gives her age as "77 years, 10 months, 10 days." Anna Houghton married Samuel Rockwood in Nov 19, 1818 at Peterborough, NH, USA. Samuel Rockwood married Anna Houghton, daughter of Cornelius Houghton and Abigail Garfield, in Nov 19, 1818 at Peterborough, NH, USA. Samuel Rockwood married Lucy Weston in Mar 12, 1840. Edward Houghton married Sarah Smith in Aug 8, 1781. Burial Evergreen Cemetery, Winchester, Cheshire Co., NH, USA, in same plot as parents. Freedom Houghton married George Watkins in 1794 at Winchester, Cheshire, USA. Daniel Houghton married Susannah Pierce in Aug 8, 1787 at Winchester, Cheshire Co., NH, USA, VanNoy: married by Reuben Alexander, J.P; both resided in Winchester NH. Daniel Houghton married Mrs. Lydia Steele in Mar 30, 1817 at Rockingham, Windham Co., VT, USA. Eunice Houghton married Tertius Lyman in Apr 16, 1787 at Winchester, NH, USA, w/1. Hannah Houghton married Phineas Lyman in Apr 21, 1788 at Winchester, Cheshire Co., NH, USA, w/1. Nehemiah Houghton married Lydia Dodge in Jan 24, 1788 at Winchester, Cheshire, USA, JWH: 1787; Barber: Sept. 3, 1787. Nehemiah Houghton married Mrs. Phoebe Green w/2. Azuba Houghton married Samuel Fessenden in Aug 8, 1791 at Winchester, Cheshire, USA. Notable founded the town of Houghton, Allegany Co., NY. Luther Houghton married Anna Munro in Mar 5, 1790 at Windsor, Windsor Co., VT, USA, JWH: Munn; DAR: 1790. Luther Houghton married Anna Munro in May 21, 1791 at Winchester, Cheshire Co., NH, USA. Sarah Smith married Edward Houghton, son of Capt. Nehemiah Houghton and Eunice Curtice, in Aug 8, 1781. George Watkins married Freedom Houghton, daughter of Capt. Nehemiah Houghton and Eunice Curtice, in 1794 at Winchester, Cheshire, USA. Susannah Pierce married Daniel Houghton, son of Capt. 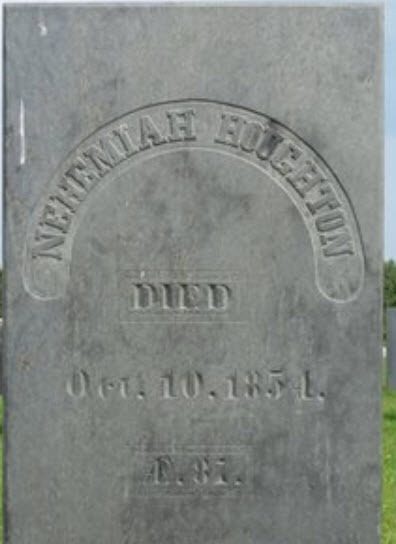 Nehemiah Houghton and Eunice Curtice, in Aug 8, 1787 at Winchester, Cheshire Co., NH, USA, VanNoy: married by Reuben Alexander, J.P; both resided in Winchester NH. Tertius Lyman married Eunice Houghton, daughter of Capt. Nehemiah Houghton and Eunice Curtice, in Apr 16, 1787 at Winchester, NH, USA, w/1. Phineas Lyman married Hannah Houghton, daughter of Capt. Nehemiah Houghton and Eunice Curtice, in Apr 21, 1788 at Winchester, Cheshire Co., NH, USA, w/1. Phineas Lyman married Sarah Morse in Aug 24, 1814. Lydia Dodge married Nehemiah Houghton, son of Capt. Nehemiah Houghton and Eunice Curtice, in Jan 24, 1788 at Winchester, Cheshire, USA, JWH: 1787; Barber: Sept. 3, 1787.